A majority of portraiture at this time in history was still rather exclusively commissioned by the affluent few who could afford it. 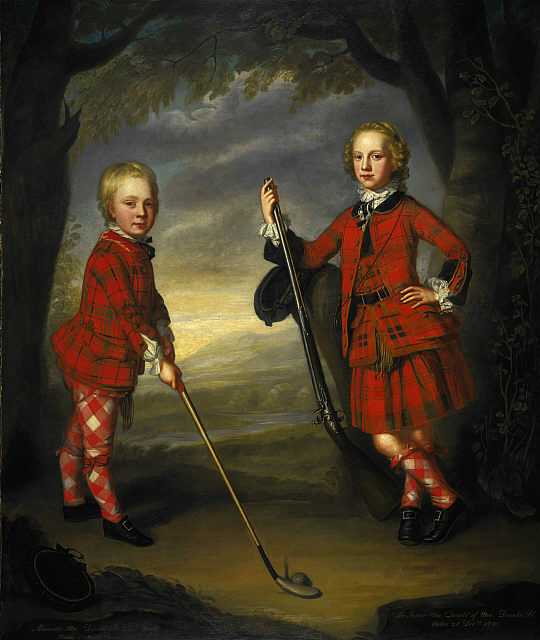 This collection of portraits aims to provide a picture of what styles were in vogue by the wealthier classes of highland society in the early- to mid-18th century. 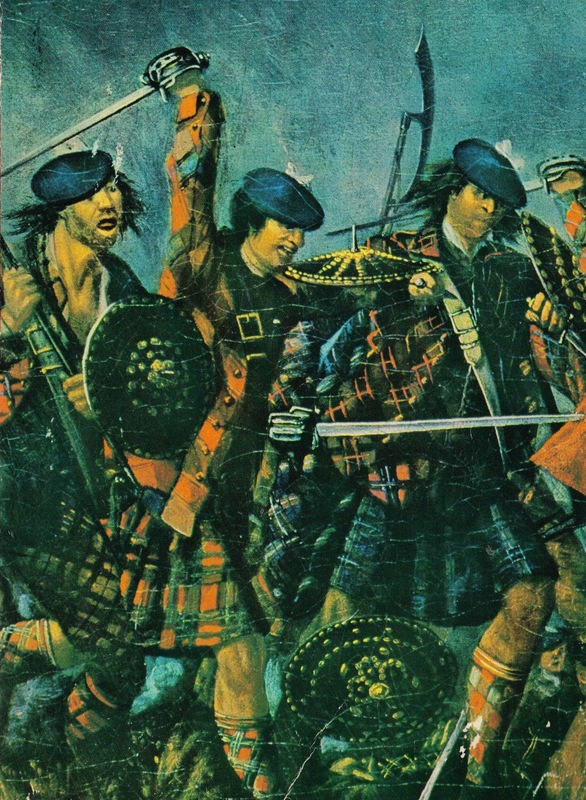 Detail of Highlanders from “An Incident in the Rebellion of 1745,” attributed to David Morier (ca. 1746). 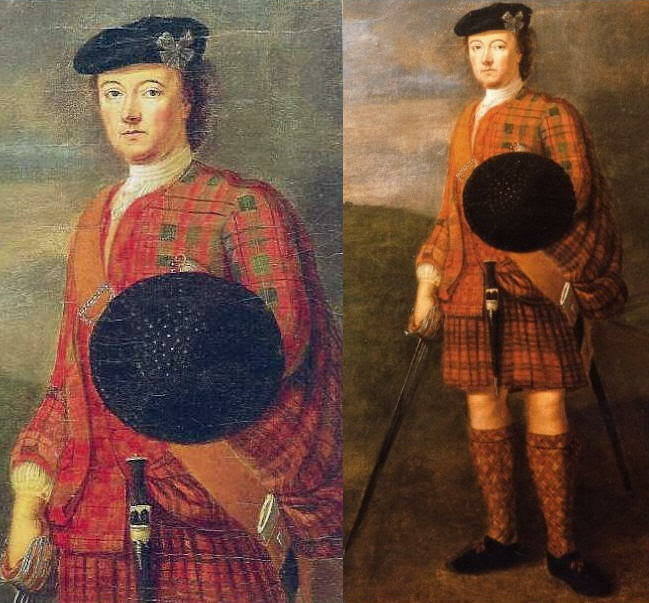 This artwork was said to have been painted shortly after the battle took place, allegedly using Jacobite prisoners of war as reference models for the Highlanders. 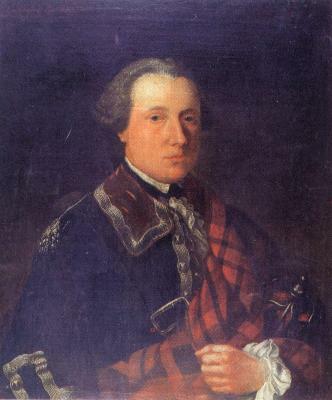 Sheriff Charles Campbell of Lochlane (c. 1730). 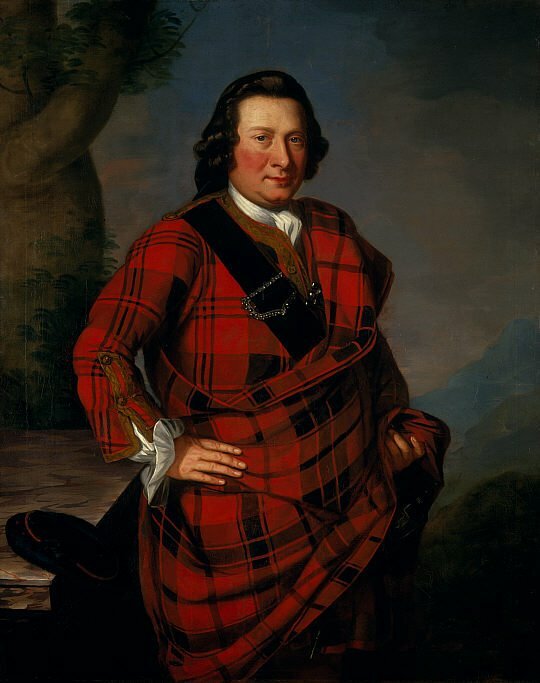 Alasdair Ruadh MacDonell (c.1725–1761), 13th Chief of Glengarry. 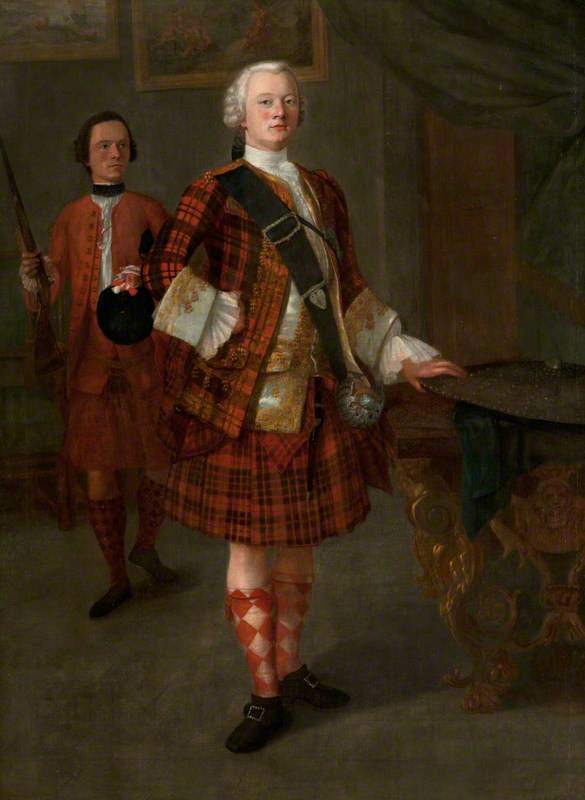 Dr. Sir Stuart Threipland of Fingask, by William Delacour (c. 1755). 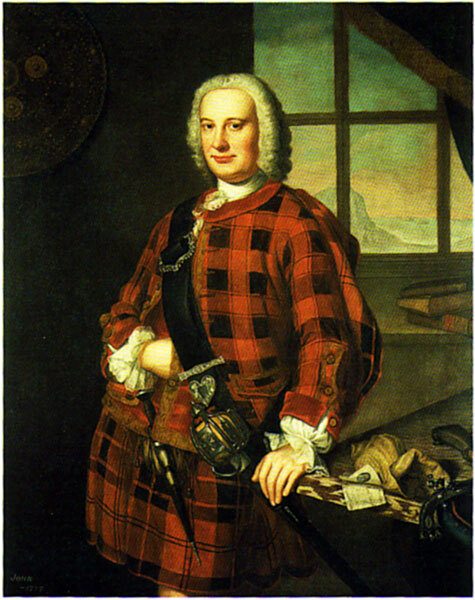 Donald Cameron, “The Gentle Lochiel” (1700-1748), Highland Chief of the Clan Cameron. 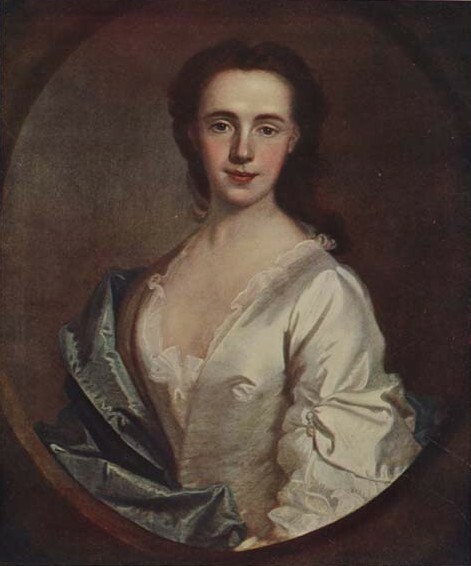 Helen Balfour, wife of Gavin Hamilton, by William Mosman (1742). 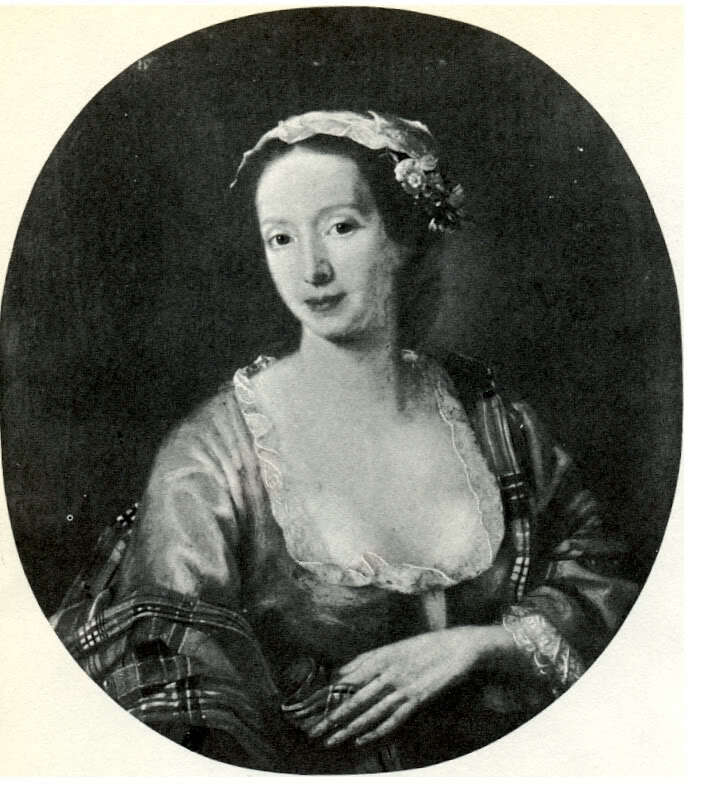 Helen Murray of Ocertyre (1745). 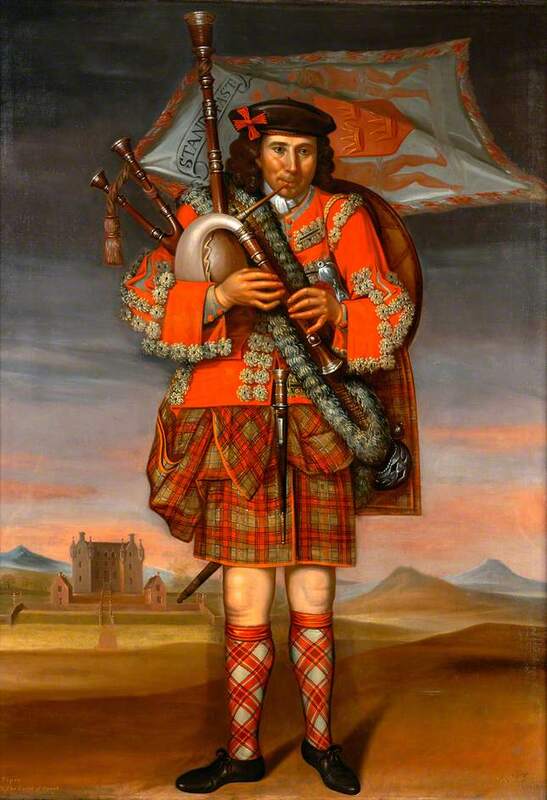 Piper to the Laird of Grant, by Richard Waitt (1730). 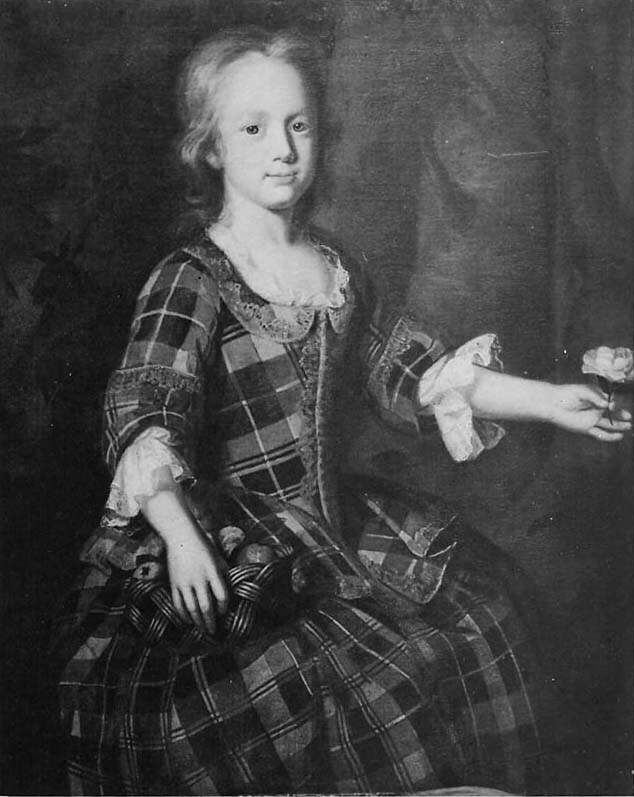 James Moray of Abercairney, by Jeremiah Davidson (c. 1739). 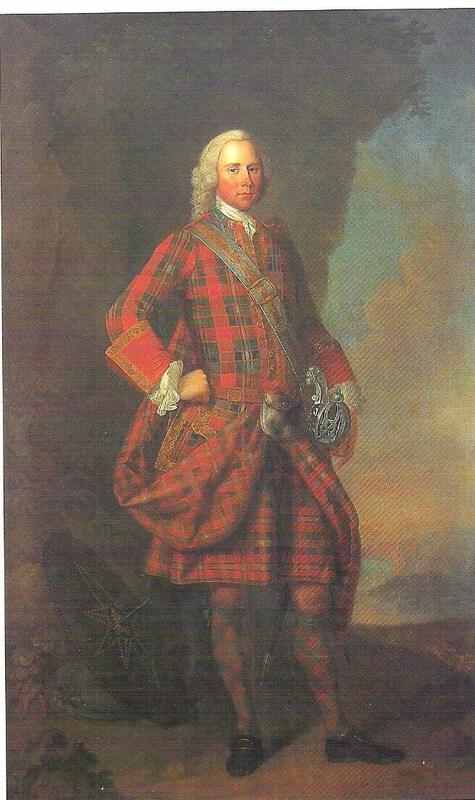 James Moray Younger of Abercairney, by Jeremiah Davidson (c. 1746). 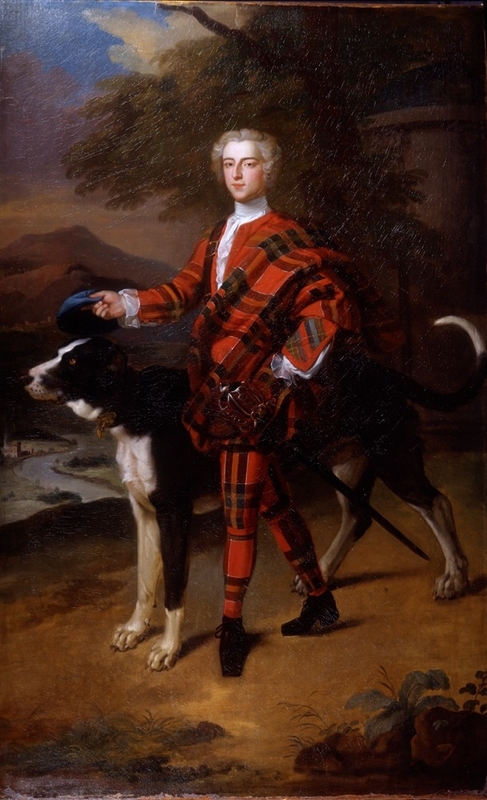 John Drummond, 4th Duke of Perth (1739). 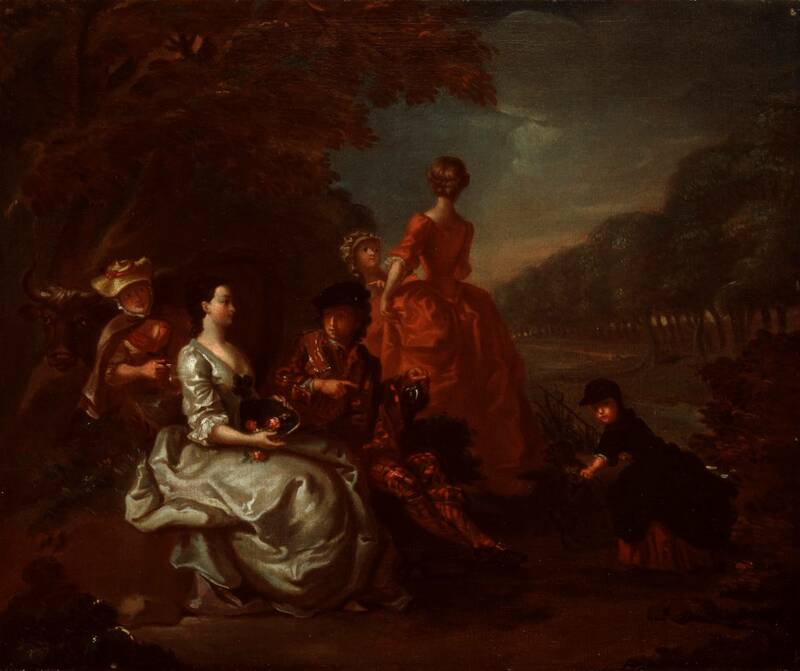 A Jacobite Group in St. James Park, by Peter John van Reysschoot (c. 1735-45). 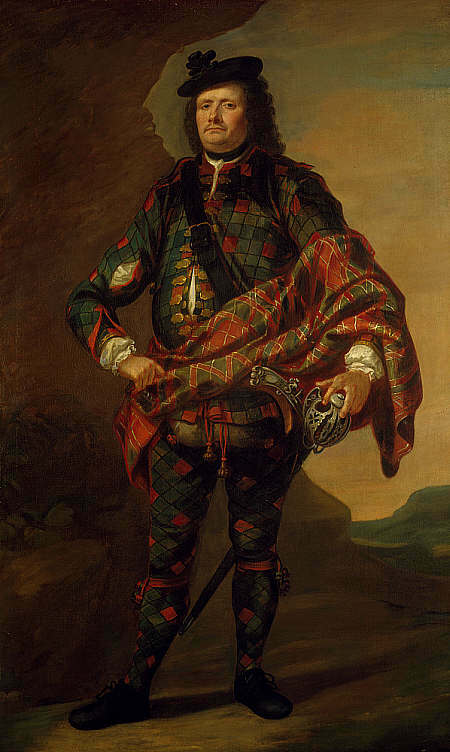 Sir Robert Dalrymple of Castleton (c. 1720). 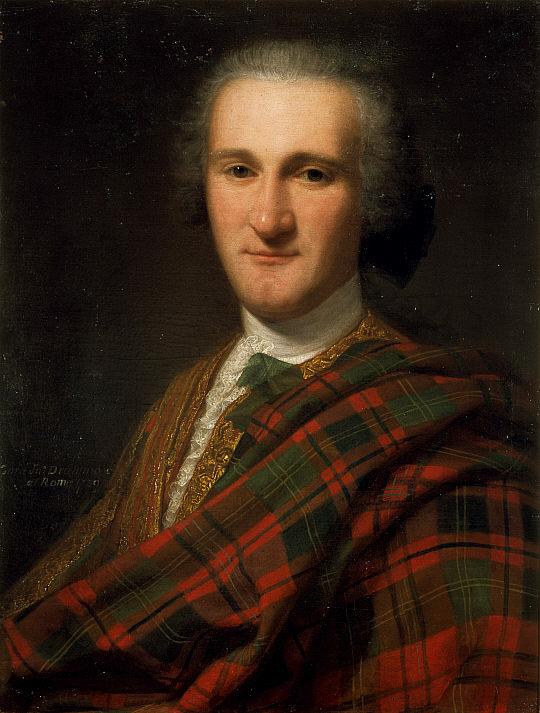 John Campbell, Lord Glenorchy (c. 1735). 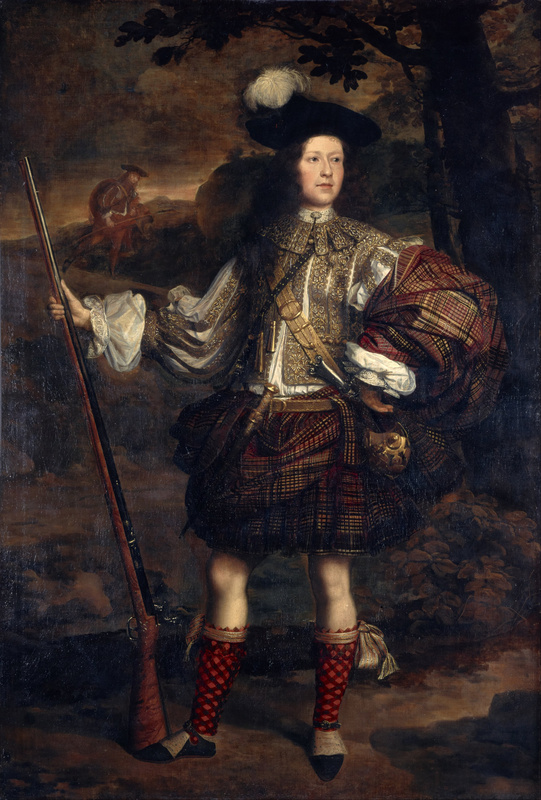 Major James Fraser of Castle Leathers (c. 1720). 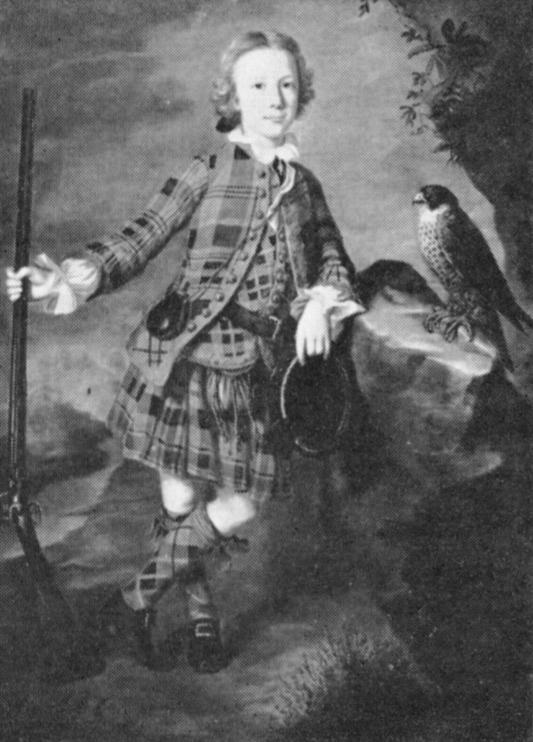 John Campbell of Armaddie (1749). 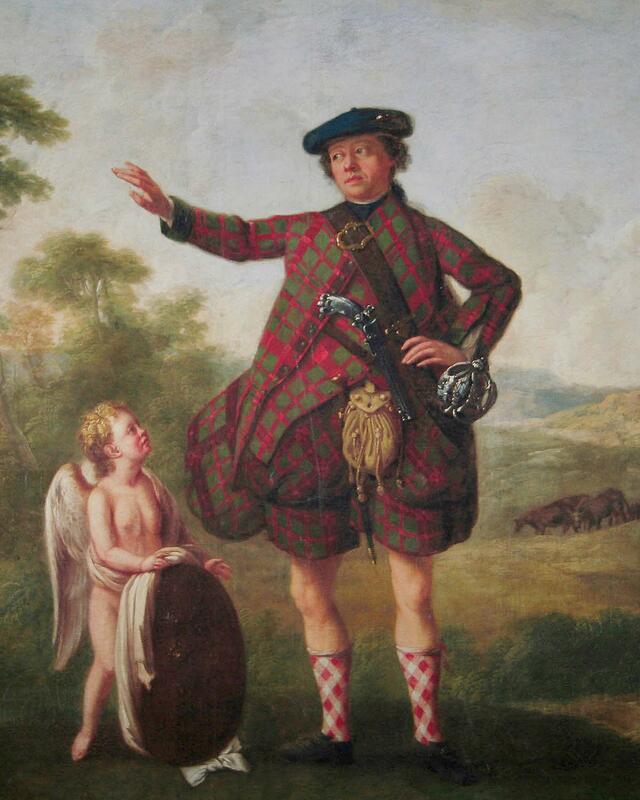 The Macdonald Boys: Sir Alexander Macdonald, (1745-95) 9th Baronet of Sleat and 1st Baron Of Slate, with Sir James Macdonald, 8th Baronet Of Sleat (1742-66). 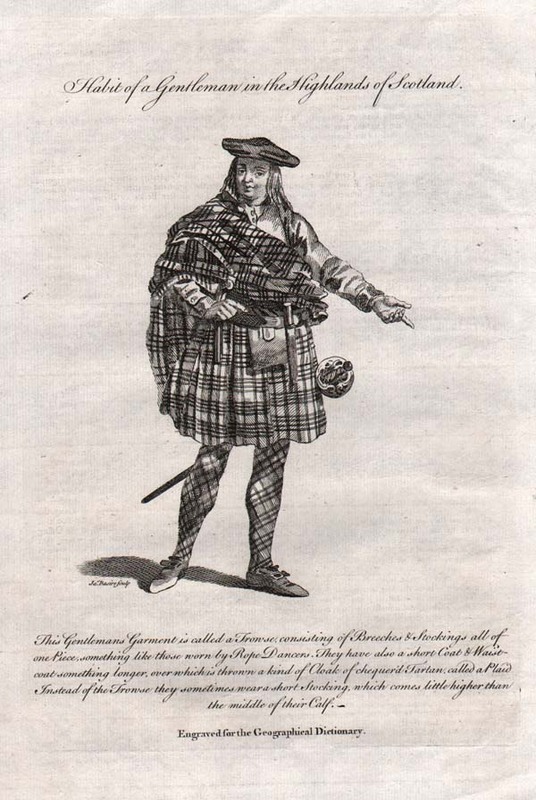 “Habit of a Gentleman in the Highlands of Scotland,” by James Basire (1745). 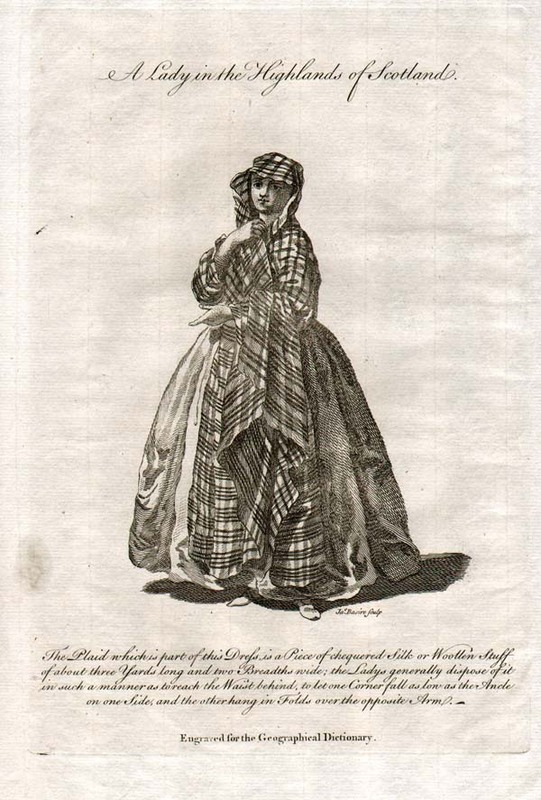 “A Lady in the Highlands of Scotland,” by James Basire (1745). 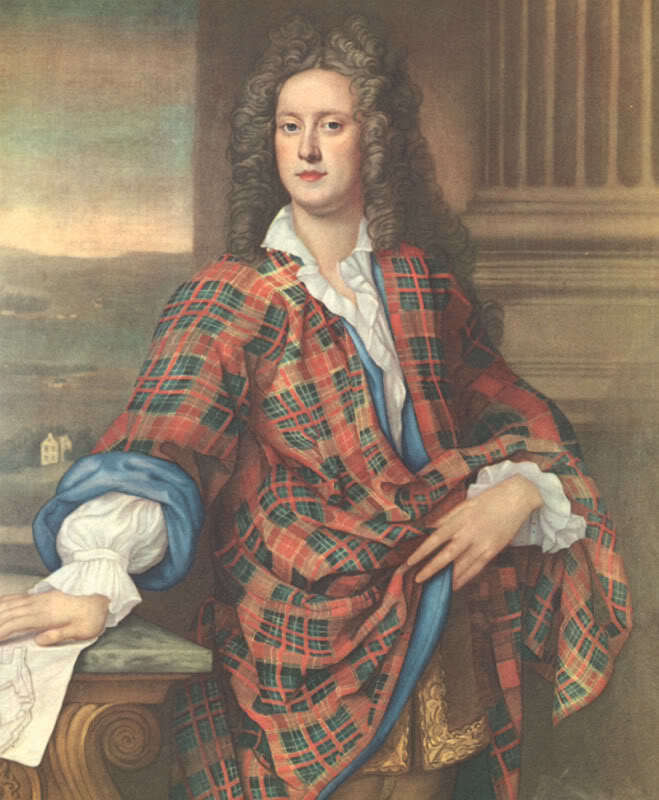 Kenneth Sutherland, 3rd Lord Duffus (d. 1734). 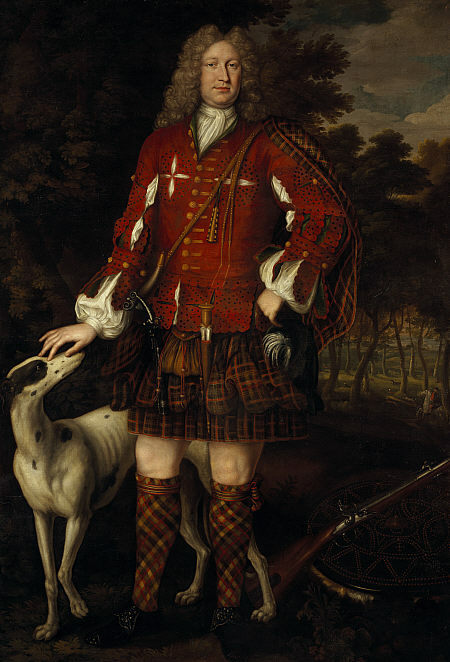 John Campbell, Lord Glenorchy, later 3rd Earl of Breadalbane and Holland (1708). 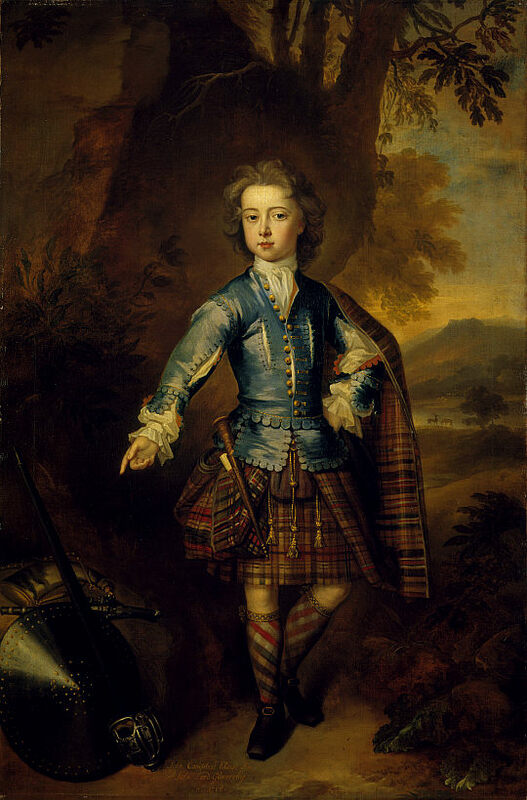 Lord Mungo Murray (Am Morair Mungo Moireach), Son of 1st Marquis of Atholl, by John Michael Wright, 1668-1700. 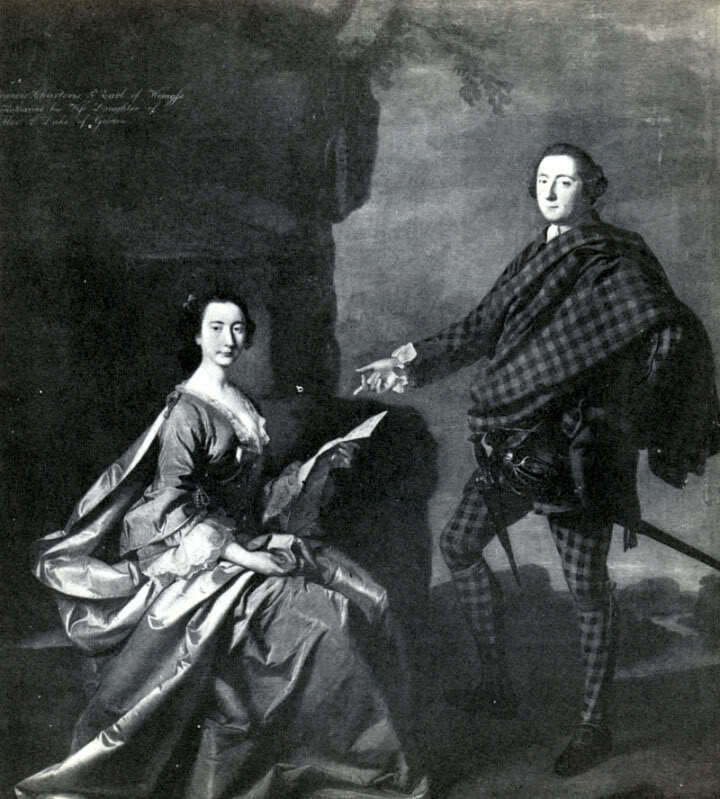 Francis, seventh Earl of Wemyss, and his wife Catherine, by Allan Ramsay.